Oh grandpa…. Every, single, year you end up with the dullest of gifts. Aftershave. Alcohol. Socks. Mints. Every, single, year. Not only are these gifts boring for birthdays but they then become double boring the second time around come Christmas. Yawn. He’s too polite to say, but maybe Grandpa wants something quirky and customised this year? But let’s be honest, it can be super tough knowing what to buy for that grand old man of the family. 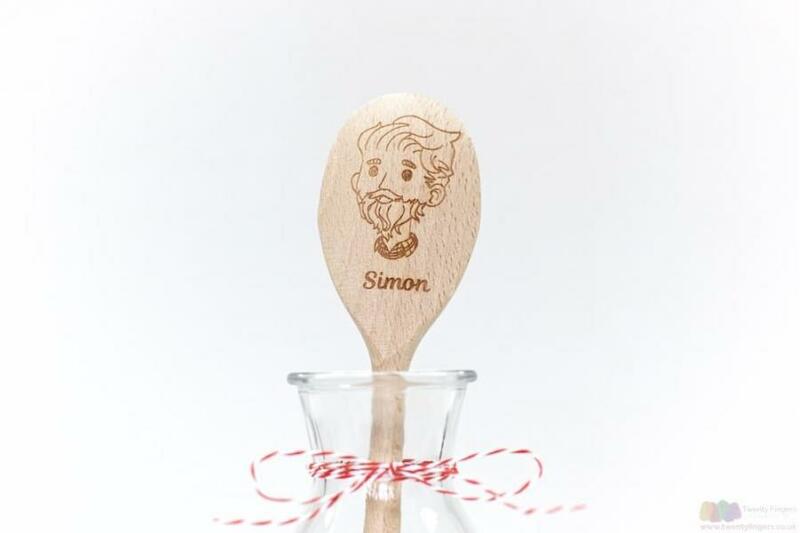 Thankfully we’re just full of great gift ideas – and there’s somebody we think you should meet – this is George, our grandpa spoon. The eldest and most respected family member amongst our engraved wooden spoons, he can be totally customised – choose the name you’d like, the message you want to convey and even choose the type of GrandPa character to feature (will it be bespectacled Jacob, who lacks hair but makes up for it with cheeriness? Or will it be GrandPa Two, who comes complete with a busy beard and full follicles on top?). 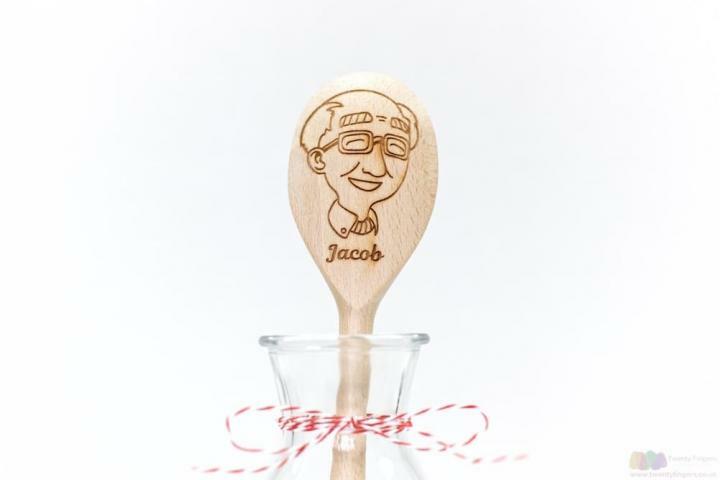 Your spoon will be created from great quality birch wood (which is completely safe and fully dishwasher-ready), so your spoon can take a place up on the mantelpiece, or be a much-loved addition to those kitchen utensils. 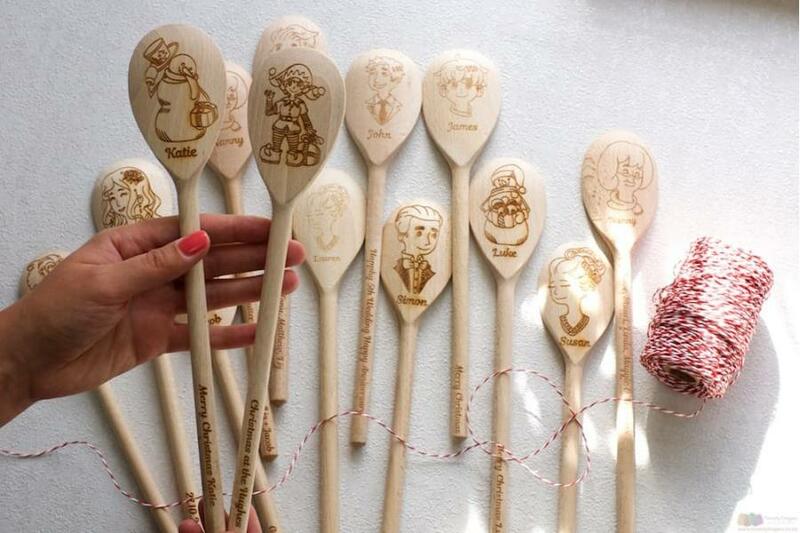 All of our engraved wooden spoons are super quickly whipped up (typically taking just five days for our workshop wonders to work their magic). 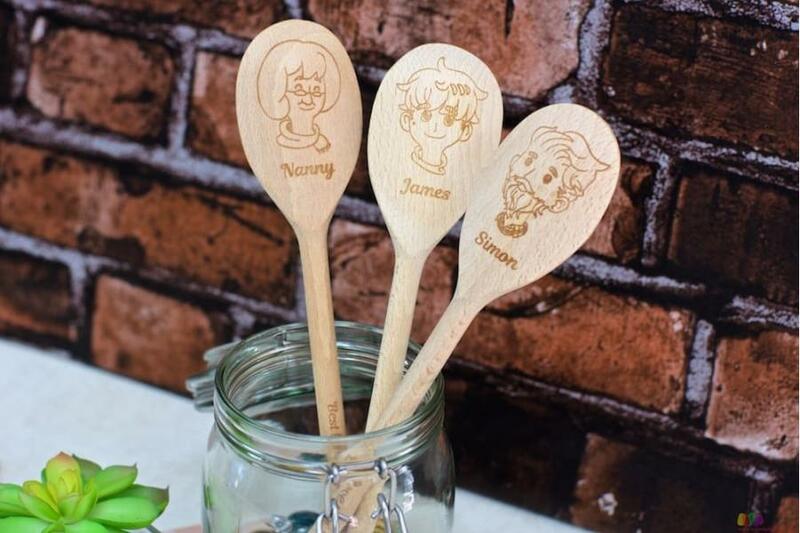 You can also qualify for FREE delivery if your order comes to £39 or more (so why not buy a Gertie GrandMa Personalised Spoon to match? ).